Says "I SURVIVED MARDI GRAS" "NEW ORLEANS.'97". 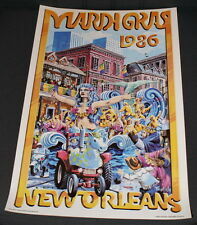 1997 Mardi Gras. This is a pin for the. BEEN IN STORAGE SINCE 1986. LOT OF OVER 500 NEW ORLEANS AREA KREWEDOUBLOONS. Mardi Gras Bead Necklaces. Color: Green Disco. Includes: 1 Bag of 6 Dozen Strands (72 Necklaces Total). Mardi Gras Bead Necklaces. 6 Dozen Beads Total (72 Necklaces Total). 3 Dozen Hot Pink Disco Beads (36 Strands). 3 Dozen Royal Blue Disco Beads (36 Strands). Great For Gender Reveals & Baby Showers! Mardi Gras Bead Necklaces. Color: Baby Light Pink (Disco) & Blue (Disco) Mix. 3 Dozen Baby Light Pink Disco Beads (36 Strands). 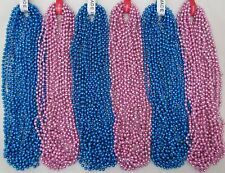 3 Dozen Blue Disco Beads (36 Strands). 6 Dozen Beads Total (72 Necklaces Total). BEEN IN STORAGE SINCE 1987. 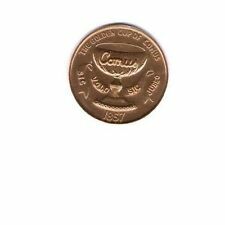 Listed is a vintage 1978 Krewe of Endymion Mardi Gras coin. It is a silver tone and in great physical condition. Some very light scratches and wear from storage are visible so please see pictures for specific condition questions. MARDI GRAS PARADE DOUBLOONS. GREAT FOR COLLECTORS AS MANY OF THESE KREWES NO LONGER PARADE. FROM NEW ORLEANS. ALL ARE ALUMINUM WITH ASSORTED COLORS AND YEARS. ALL ARE FROM THE 1960'S THRU 1980'S. Mardi Gras Beads. Color:Light Blue (Disco). Includes:1 Bag of 6 Dozen Strands (72 Necklaces Total). Mardi Gras Bead Necklaces. Color:Hot Pink Disco. Includes:1 Bag of 6 Dozen Strands (72 Necklaces Total). 100 STRANDS OF MARDI GRAS BEADS. GREAT FOR MARDI GRAS, MOTORCYCLE RALLYS AND PARTIES! COLORS: GREEN, RED, BLUE, SILVER, GOLD AND PURPLE. Note: The obverse features the Zeus Logo. Probably holed so it could be worn on a necklace. 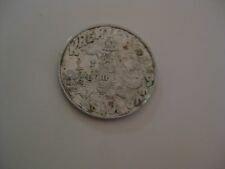 Here's the1970 Krewe of Zeus Plain Aluminum Holed Doubloon (Error Strike). (Unless Specifically Described as 'Toning,' the Gold, Green, Purple and Blue Hues seen in the photos are the reflection of a Mardi Gras Banner which hangs above my desk.). Here's the1975 Krewe of Bacchus King Jackie Gleason Red Aluminum Doubloon (Error Strike). Note: The obverse features the Bacchus Logo. The reverse features the 1975 Bacchus King Jackie Gleason Design. The Tafluma Marching Club was a New Orleans Area Walking Club which participated in various Parades during the Carnival Season from 1978 through 1987. 1978: Plain Aluminum--That's Us Fool. 1979: Plain Aluminum--Fool's on Parade. This is a very nice lot of vintage Mardi Gras doubloons. They are in good condition. The lot does include one 1971 Budweiser Clydesdales coin. Payment is due within 24 hours of auction end and will be shipped within 48 hours of payment. Please let me know if you have any questions. 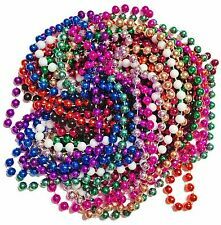 Mardi Gras Bead Necklaces - 6 Dozen. 3 Dozen Light Blue Disco Beads (36 Necklaces). 6 Dozen Beads Total (72 Necklaces Total). 3 Dozen Silver Disco Beads (36 Necklaces). Realistic looking shrimp on a Mardi Gras Bead Necklace. Mardi Gras Bead. For sale is 1 Dozen(12)STAR Shaped Mardi Gras Bead Necklaces Green Purple Gold. Condition is New. 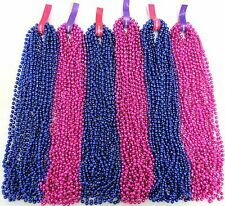 Mardi Gras Bead Necklaces - 6 Dozen. 6 Dozen Beads Total (72 Necklaces Total). 2 Dozen Baby Blue Disco (24 Necklaces). 2 Dozen Black Disco (24 Necklaces). 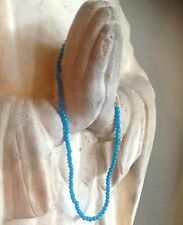 2 Doze Royal Blue Disco (24 Necklaces). 1982 KREWE OF THOTH. KREWE FAVOR PLATE. FROM NEW ORLEANS' MARDI GRAS. PLATE HAS PRINTED ON IT PLATE IN VERY GOOD CONDITION. 35TH ANNIVERSARY. 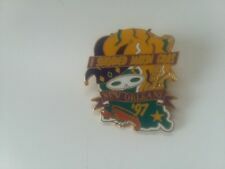 This is a 1997 Krewe Of Endymion Bronze Mardi Gras Doubloon. 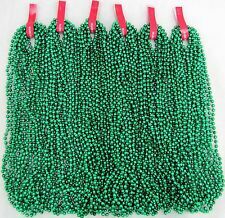 Mardi Gras Bead Necklaces - 6 Dozen. 3 Dozen White (Pearl) Round (36 Necklaces). 6 Dozen Beads (72 Necklaces Total). 3 Dozen Black Round (36 Necklaces). ASSORTED COLORS 33" (sizes approximate) ROUND 7MM MARDI GRAS BEADS. String may be painted or not. Sizes are approximate. SET INCLUDES 48 (2 DOZEN EACH), 24 BLACK AND 24 ORANGE NEW ROUND BEADS. NEW 48 ( 4 DOZEN). 7MM 33" (sizes approximate) MARDI GRAS BEADS. String may be painted or not. Sizes are approximate. 72 ( 6 DOZEN). 72 INDIVIDUAL BEAD NECKLACES. WARNING: May contain lead, Not for children under 3, May present choking hazard, Do not eat, Open and separate carefully to avoid breaking. GLOW IN THE DARK MARDI GRAS BEADS. They are not battery operated, they do not contain a neon light bulb, they are a simple plastic product with glow properties. If any strand should separate, just twist the ends together to complete the link. ASSORTED COLORS 33" (sizes approximate) ROUND 7MM MARDI GRAS BEADS. String may be painted or not. Sizes are approximate. SET INCLUDES 72 (3 DOZEN EACH), 36 BLACK AND 36 ORANGE NEW ROUND BEADS. NEW 72 ( 6 DOZEN). Mardi Gras Bead Necklaces. Includes: 1 Bag of 6 Dozen Strands (72 Strands Total). Each Bead is 7mm. Blue Beads. Silver Beads. Mardi Gras Bead Necklaces. Includes: 1 Bag of 6 Dozen Strands (72 Strands Total). Black Disco. Silver Disco. The Flea Club, undated, .999 Fine Silver New Orleans Mardi Gras Doubloon JJ017. I hope to see you for the 2015 New Orleans Mardi Gras Season! Hope you get a doubloon in your throws! New Orleans Charms and Jewelry. I am not as young as I was and getting older - so sorry in advance. 7MM 33" (sizes approximate) MARDI GRAS BEADS. String may be painted or not. Sizes are approximate. 48 ( 4 DOZEN). 48 INDIVIDUAL BEAD NECKLACES. 33" (sizes approximate) ADULT LENGTH. BLACK AND WHITE. MARDI GRAS DOUBLOONS. TEACHERS ALSO USE THESE FOR CLASSROOM ACTIVITIES. THESE DOUBLOONS ARE POLY BAGGED 100 TO EACH BAG WITH 10 BAGS PER BOX. FROM NEW ORLEANS. 1986 ENDYMION TOKEN OF YOUTH MARDI GRAS NEW ORLEANS "WHAT MIGHT HAVE BEEN"
Description: vintage set of two Culver glass barware tumblers in the Mardi Gras pattern. New Orleans themed glasses with gold overlay, rhinestone jewels and Harlequin / Jester design. The backside of the figures are in a blue tone. The gold has a light texture to it. Good vintage condition with very minimal surface wear. All jewels appear intact (9 each). Presents beautifully! Measurements: height: 5.5 in. ***Please look closely at the pictures and feel free to ask questions prior to bidding*** Shipping & payment: buyer pays for shipping. Buyer should contact me within 3 days of auction close and I expect payment within 7 days as well. Please request an invoice or wait for us to issue an invoice before paying for your item(s). This will help ensure that shipping is calculated correctly.